This semi-hardwood is very strong and durable, and is used by Safari Thatch for much of our thatch roof construction due to its dead straightness and minimal taper. Safari is the number one importer of Eucalyptus in the United States, by far! 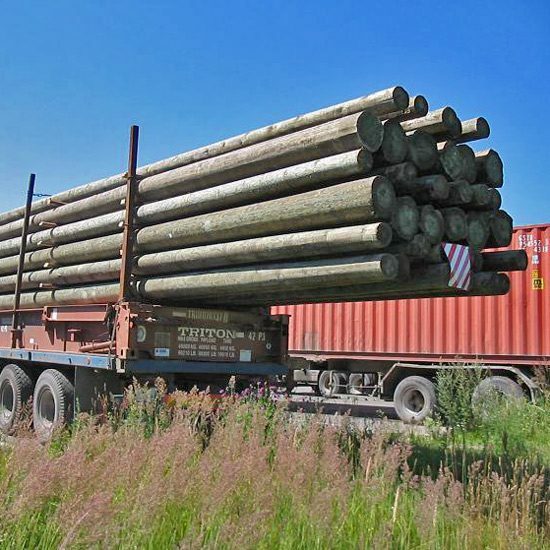 It has a highly consistent diameter compared with nearly all other peeled wood poles. This ensures uniform strength throughout each pole, and saves on dead weight calculations in roof construction. It is strong and durable. 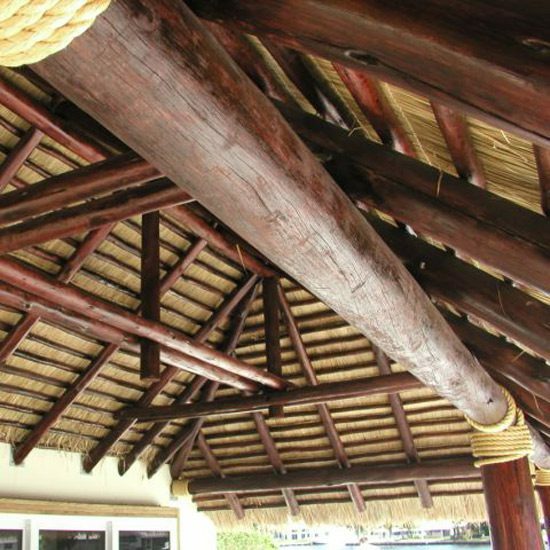 Safari Thatch uses Eucalyptus poles for many structural applications including fences, trellises, and full-roof construction, and rivals strength characteristics of much slower growth and more expensive hardwood species. It comes in a wide range of sizes and diameters that will satisfy nearly every project, from a small pool-side tiki hut to massive traditional African Safari lodges. It can be used indoors and outdoors and in any climate. It is appropriate for both commercial and residential use. We provide eucalyptus in multiple preservative pressure-treatments, including our stand Wolmanized treatment which takes stains very well. 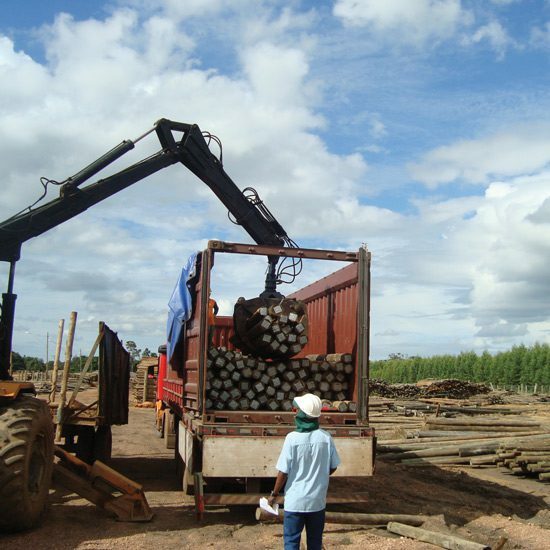 Eucalyptus timbers can even be supplied with a fire-retardant treatment for special orders. Complete structural specifications are available upon request, including compression and deflection statistics, etc. Appearance: Exceptionally straight, plantation grown timber. Almost zero taper: on larger diameters, typically less than an inch over 20′!